Dr. Leary dedicates her time and expertise to the Esperanza Center on some of her Fridays off. This Baltimore Health Services Clinic offers free medical and dental services to immigrants who do not qualify for health insurance and who do not have the economic means to pay for health care. Esperanza Center is the first Volunteers In Medicine clinic to be established in the state of Maryland. Mission of Mercy is a free adult dental clinic providing treatment to those who cannot afford dental care. 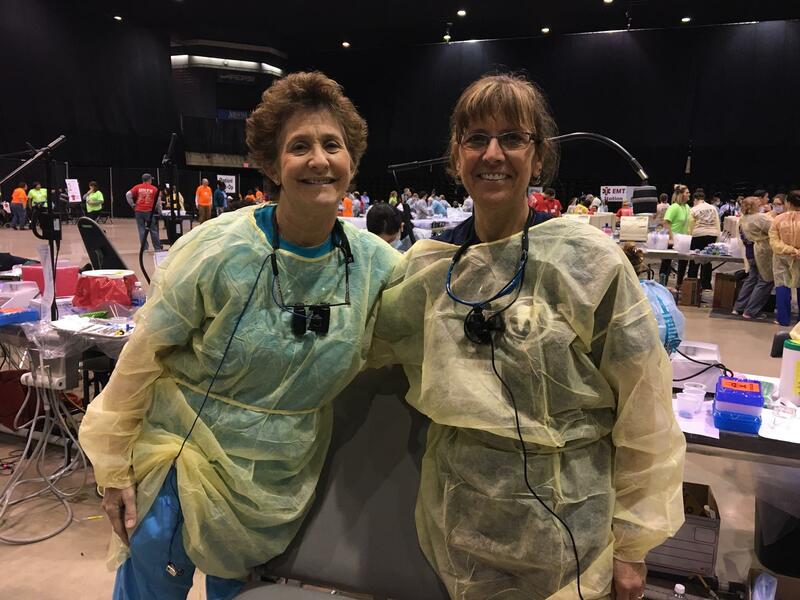 Hundreds of volunteers help to provide dental care and among them are Dr. Leary and our hygienists, Jennifer Snyder and Rebecca Richardson. Becky and Dr. Leary went most recently on March 11, 2017 to the Wicomico Youth & Civic Center where they gave their time and expertise to treat patients.